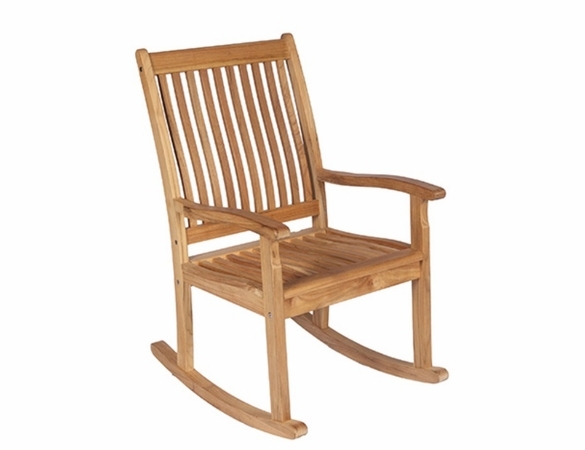 Despite all our modern conveniences and advances, few things rival the comfort of sitting back and rocking in the High-Back Teak Rocking Chair from Outdoor Furniture Plus. 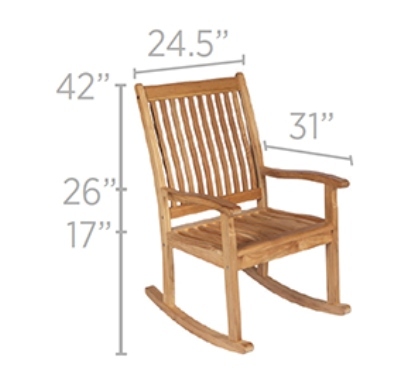 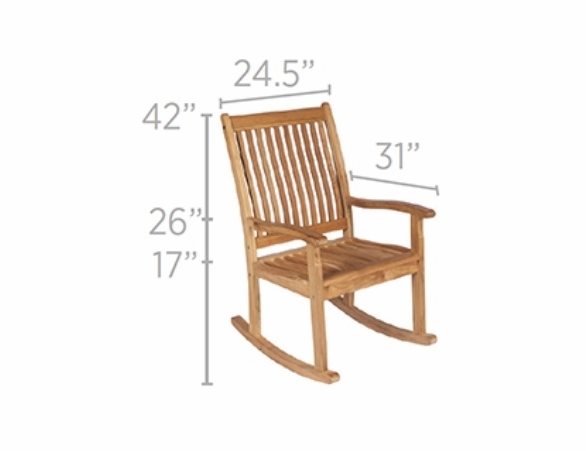 Our high-back rocking chair boasts stainless steel hardware and minimal assembly. 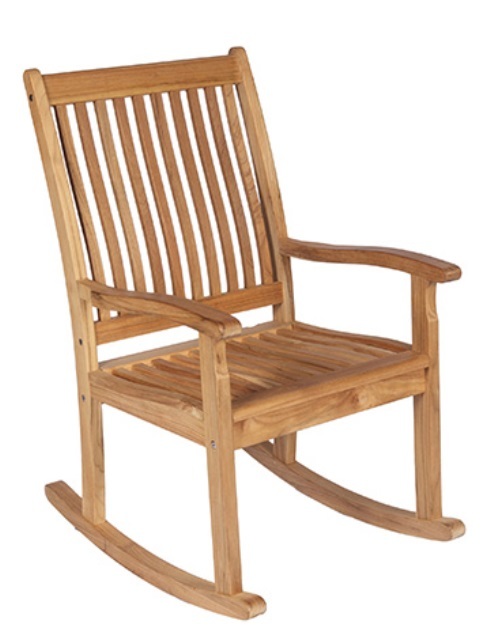 These high-back teak outdoor rocking chairs resist the elements and will gently rock your world for many seasons to come. 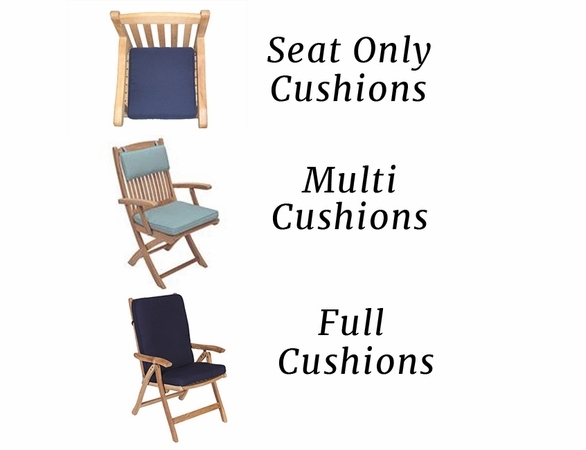 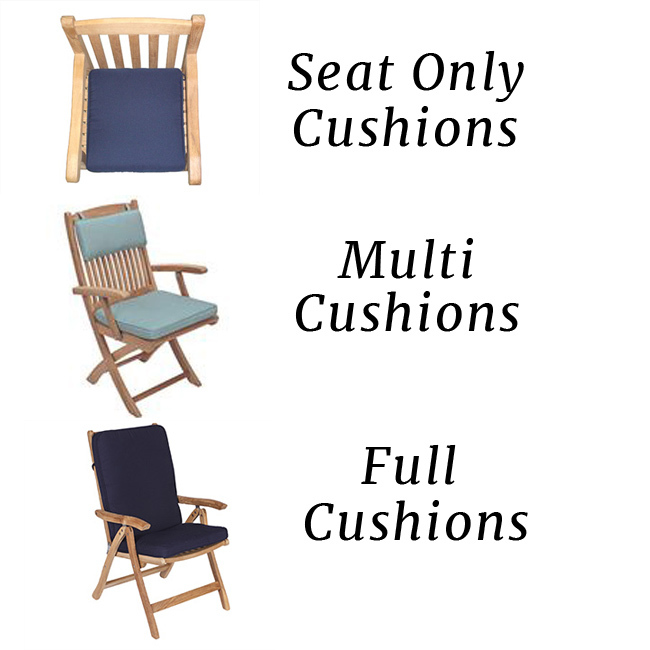 High-back teak patio chairs’ Sunbrella covered cushions are available for an extra charge.